Initially, this image came from an Emily Dickenson poem about hope being the thing with feathers that perches in your soul. It's a companion piece to a drawing and print called Watched Pot (see below). My friend Olive really liked Watched Pot, and I just noticed the feather sketch next to it in my sketchbook and decided to do it up. 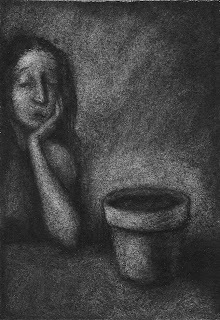 I think the feather drawing fits the topic of cultivate, both because of the pot and the dreams that are growing in it. Thanks, Mike. I love that poem. I love the starkness of the contrast! I think black/white speaks volumes in color! Happy Sunday. 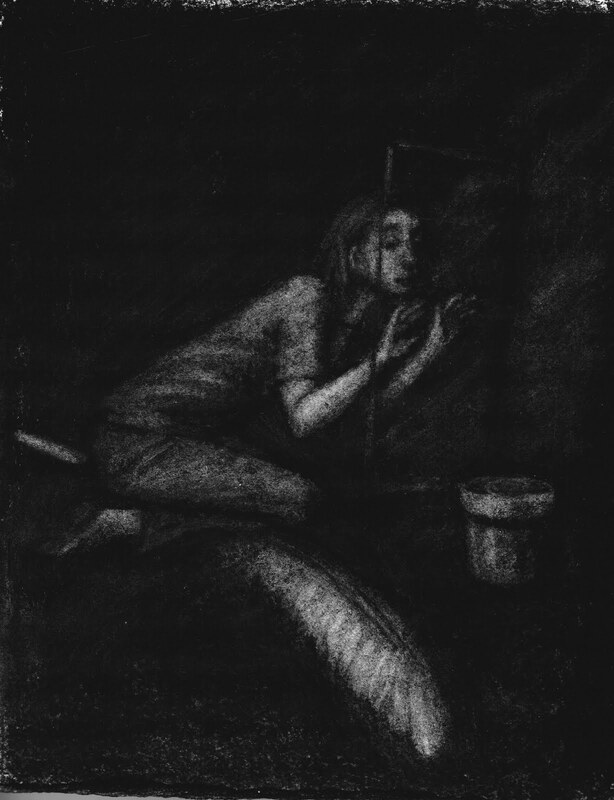 Ooooooh--lovely, evocative drawings! I really like both of them!